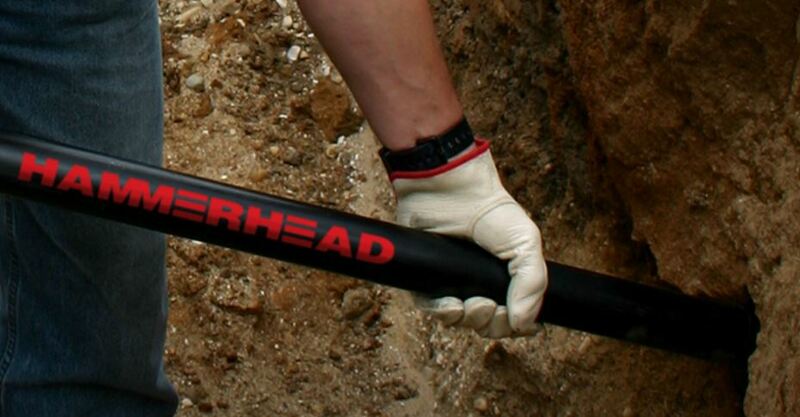 HammerHead® Active Head® piercing tools are specially designed to perform in adverse ground conditions. The reciprocating head design features a double-strike system that utilizes the initial impact force to increase production in difficult soils such as cobble, hard clay and hardpan. Active Head piercing tools are available in 2” (50 mm), 2 1/2” (65 mm) and 3” (75 mm) models. The specially designed head / body retaining system and replaceable wear rings on the bit shaft and head promote longer life and sustained performance levels.